Pioneer Trading Company are one of Synseal's longest established and experienced fabricators. Pioneer use the profile created by Synseal to make all of their Windows, Doors and Conservatories as well as producing their own Signature Sash brand, The UK's most advanced window system. Synseal provide Pioneer with all of the uPVC profile to fabricate their Windows, Doors and Conservatories. 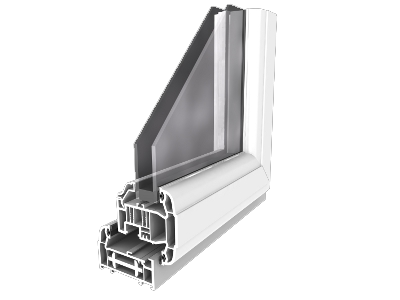 The uPVC profile provided by Synseal is used to create Pioneer's Windows, Residential and in-line Patio Doors as well as the Signature Brand of Windows. Shield is not just another window system, but the Shield brand is the umbrella to many products. The success of the individual parts combining together to provide the much greater success of all components working in harmony. Suited with its own award winning in-line sliding patio door system, the much acclaimed high gloss finish, and the ease of installation have been some of the key contributors to Shield being fabricated by more fabricators in Great Britain than any other window system. The Global conservatory roof system is the roof brand to fit onto uPVC profile systems other than those of Synseal. Global's versatility, and ability to produce such a vast range of conservatory styles from only one system has been one of the reasons that Global has been the fastest growing conservatory system on the market ever. Couple this with the incredible time saving, and aesthetic innovations within the system and it is plain to see why installers and conservatory companies all over the country have switched to Global. Global 600 is the new low pitch roof system now available from Synseal Extrusions Unlike any other systems, Global 600 has been specifically designed for the UK market. Global 600 looks good, installs easy and reduces waste, designed with installers in mind, it's a must have for making improvements to every home. Making the alignment and adjustment of windows and doors much easier as well as allowing more light to flow through into the building. 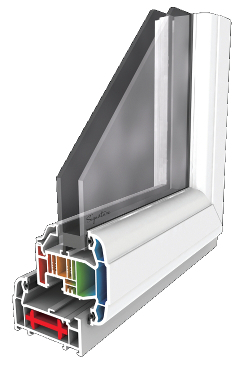 The launch of the SynerJy window and door suite celebrates 15 years of uPVC window and door profile systems from Synseal. As Synseal has evolved so have the products, each drawing on the experience of the previous generation and the ever changing customer requirements. The most significant development in synerjy is the introduction of a J bead (also known as a knock in, or single leg bead), responding to what our customers say they would like whilst simultaneously handing them a completely fully sculptured window, door, and conservatory suite. View our latest techical specifications for all our products. This gives you the chance to see the quality that goes into all of our products. It also means you get the correct product for the specific customers needs.